Two-shelf design helps keep shower essentials organized and close at hand. The lower shelf is positioned to handle larger shampoo and conditioner bottles. Hooks hold razors and loofahs. Comes with removable soap dish. Measures 17 inches by 9 inches—36 inches high. Weighs 8 pounds. 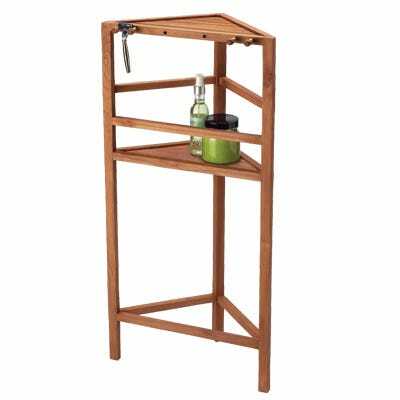 This teak shower organizer has simplified my life. 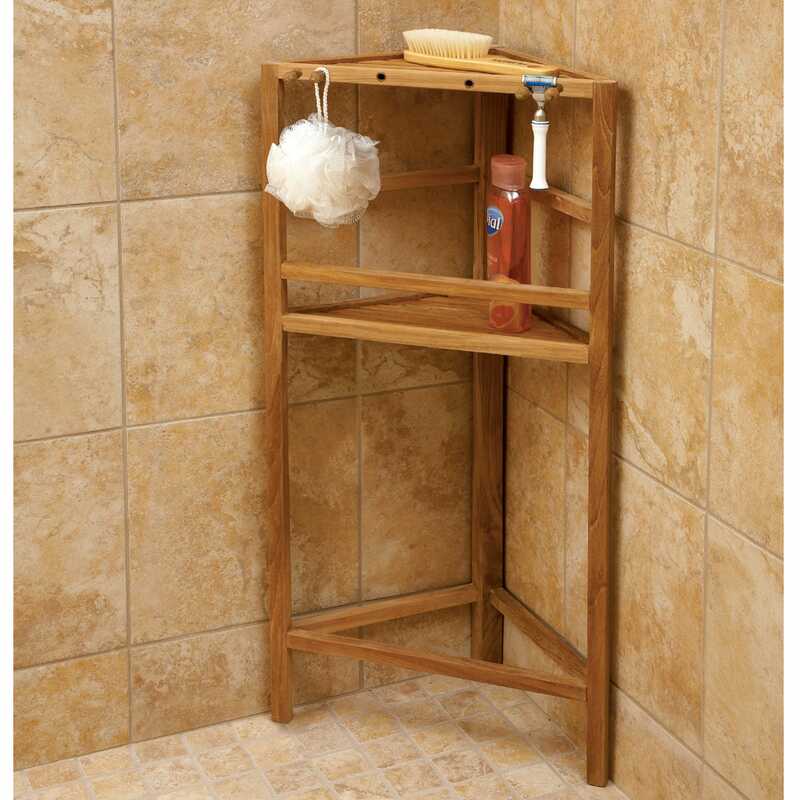 It is the right height, sturdy, and perfect for keeping shampoo, shower gel, and back scrubber in easy reach. It provides a lot of storage in a small footprint. Exactly what I was looking for... convenient but not too large. I love it.... thank you very much. Been looking for a quality corner shelf at a reasonable cost for quite some time. This unit really meets my requirements. Exactly what we needed in a small shower to get all the shower products off the floor.